It’s really not. Over the past six years, I’ve been on this crazy wild right and I’m ready to get off it for good. Over the past eight months, I have been working hard to be healthy. The most recent dip in the scale has come from some really hard work and eating differently than I ever have before. 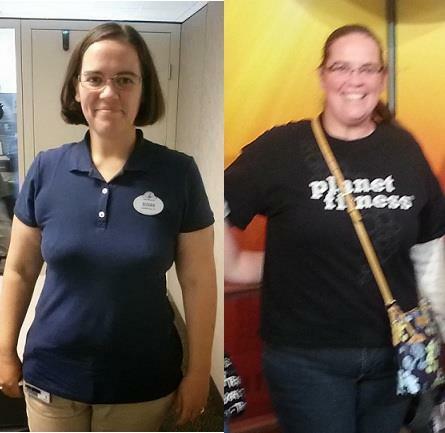 Here I am at probably my heaviest along the way, the left photo is Christmas time 2011 and the right photo is Christmas 2013. A big change happened for me after watching the documentary, “Fat, Sick and Nearly Dead”. Joe Cross at http://www.rebootwithjoe.com, had lots of resources and material to go on this amazing juicing journey. I was ready to make the commitment. I bought a juicer, went to the grocery store and set out toward health. It wasn’t about just losing weight, it was about improving my life. I was very fortunate to have an amazing supportive husband at home that washed and chopped and helped keep me motivated along the way. It would have been much more difficult to see my family enjoying there regular meals without his help. He was my rock. I went through multiple mental shifts through this time. The first being just how I felt about food. Food was always a comfort for me. I liked eating it and looked for places and meals to enjoy it to the fullest. After spending 60 days on juice only, I came to view food as something to sustain me not a pleasure item to make me feel good. It really just became fuel. I’m going to put the best fuel in me to get from Point A to Point B, and it’s still how I view it today. Do I still enjoy chocolate? Yes, but I no longer eat a 1 pound bag of M&M’s in one sitting. It’s an infrequent treat that I always remember doesn’t give me the nutrients I need. The next shift was how I felt about the scale. The bane of my existence. The number I held myself hostage by my entire life. Today I sit at 173lbs and a BMI of 28. In the eyes of doctors, I’m overweight. I had to shift my thinking on how I felt about that. While weight and BMI can be an indicator of health, it’s not always a useful test. You can have people who sit on the couch, eat fast food, smoke and drink, and have a “normal” weight and BMI. I run three times a week, eat my vegetables, quit smoking and limit alcohol to only special occasions. Am I in the shape I want to be? Not yet, but I’m working toward it. Everyday I take steps to go toward that goal. It’s not fast but I know I am living a healthy life and that was always my aim. It wasn’t about a number. The picture above is from 2013. The picture on the left was after completing my 60 day juice fast. The picture on the right was from a couple months before starting the juice fast. My next mental shift was about how I look. We see so often in our society on what a body “should” look like. I came to embrace all the nuances that are ME. I don’t have perfect curves, or muscle tone but I had to come to grips with how I felt about how I look. So often I looked at pictures and think “Was I that heavy?”. I had to accept that I spent many years carrying around extra weight. And while that weight gave me a different appearance, it didn’t make me any less beautiful. I’m still the same person I was, just thinner or thicker. The problem really was how I felt in general. I was sluggish, tired, and not able to live my life to the fullest when I had the extra weight. I couldn’t keep up with my children or even the stairs at work. I was frustrated and depressed with just not feeling well. I wanted to feel better and that meant forgetting what I thought it should “look” like and just do it. The most recent shift I experienced was in analyzing my weight loss over the past six years. Seeing how close I was to success of reaching my goal weight and gave up. I was going through some medical issues at the time, but I truly gave up on being healthy. Healthy living is a lifestyle. It not something you can just decide to do and then stop. I was able to reduce my pain, discomfort, and illness by changing my eating. No magic pills or drugs. Eating a plant-based diet and exercising has me feeling the best I have in my adult life. I will continue to make that choice everyday. To take care of myself and keep working toward my goal until I have reached them. Then make new goals and keep going. 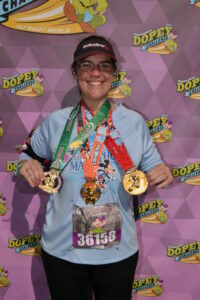 This past January, I successfully completed the Disney Dopey Challenge. 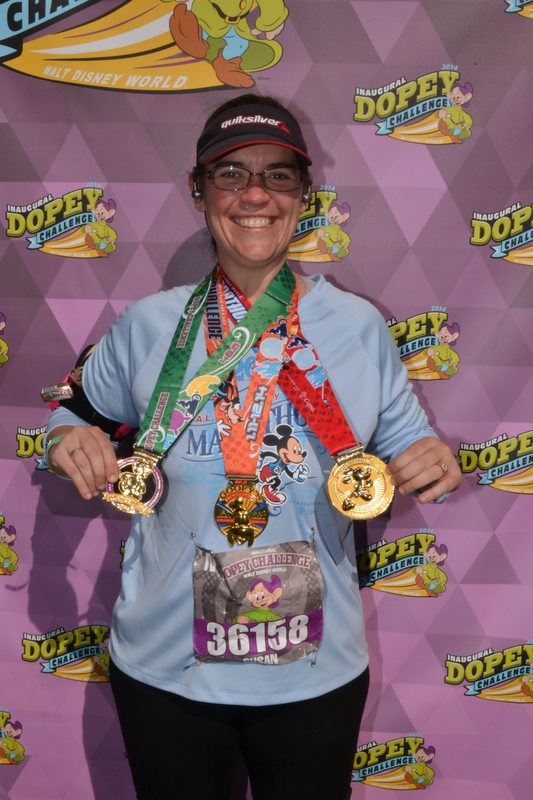 Four races, four days, and 48.6 miles. It was such a huge accomplishment and I’m ready to keep reaching my health goals for the rest of my life. It’s hard to think that just 10 months ago I was posting about my weight loss and exercise success and now 10 months later, I’ve regained every ounce and haven’t seen the gym in months. I recently watched a documentary called “Fat, Sick and Nearly Dead” with Joe Cross. It reignited my desire to be healthy. Over the years, I’ve always tied being healthy to looking a certain way or a number on the scale. Neither of these things are really true. A very thin looking person can be unhealthy. Also, a number on the scale doesn’t determine health either. It’s what you put in your body and how you take care of it. Today I started my path to health and began a 30 day juice fast. It starts with a 5-day taper off of solid food to just juicing for 30 days. I’m extremely excited about this new journey and am looking forward to achieving “health” instead of a size or number. This morning, I woke up and had some hot ginger lemon water. For breakfast, an apple berry bake. Snacks consisted of Carrot Apple Ginger juice and lunch was a salad with Carrot and Sweet Potato “fries”. So far I’ve felt pretty good. A few hunger pains here and there, but the main thing that’s been different for me today is I’m freezing. I have felt extremely cold in my office all day today, but I can deal with that. I’m looking forward to tracking my progress here as I start feeling better and being able to do more things. Shifting, growing, and changing my approach to food is the thought of the day. Today marks the 7th week since starting my regular exercise routine and 18 weeks since starting my diet program. 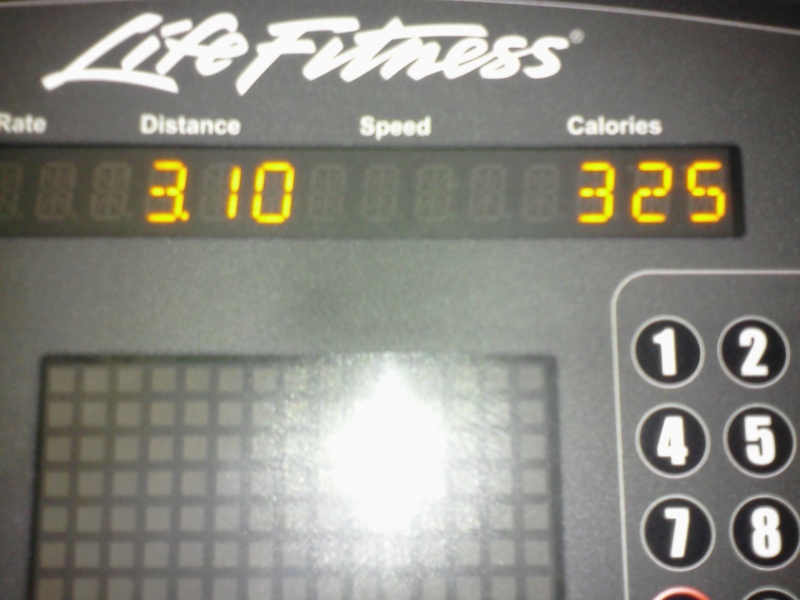 At Planet Fitness today, I recorded my best 5k time in a long while at 35:00 mintues. Down another .8 lbs this week, I’m closing in on the 200lb mark. Today, I weighed in at 202.8 lbs. Over the past eighteen weeks, I’ve lost a total of 36 lbs and feeling stronger and stronger as the workouts continue at Planet Fitness. My diet plan has been pretty simple up to this point. Exercise and portion control. My morning usually consists of yogurt/oatmeal/hard boiled eggs and a piece of fruit (banana, plum, peach, nectarine). Lunch usually consists of leftovers from dinner the night before. Lean meat, a small portion of rice or pasta and a salad or steamed vegetable. A snack of what I didn’t have a breakfast usually comes midday, like hard boiled eggs or yogurt. Dinner is more of the same as lunch (hence the leftovers). I also have some sort of treat after dinner like a skinny cow, or a small bowl of ice cream. Sometimes jello and cool whip. The nice thing about my diet plan is I don’t feel deprived. I have a treat here and there but all in moderation. I realize that every food choice I make and decision to get up and workout is step closer to success and the health I deserve. When I choose to indulge or sleep in, that’s a step in the wrong direction. My clothes are fitting looser and I’m starting to see that athlete and skinny person emerge. It’s been a great feeling to have made so much progress, but I still have a long way to go. Encouragement from my family and friends has been so critical. 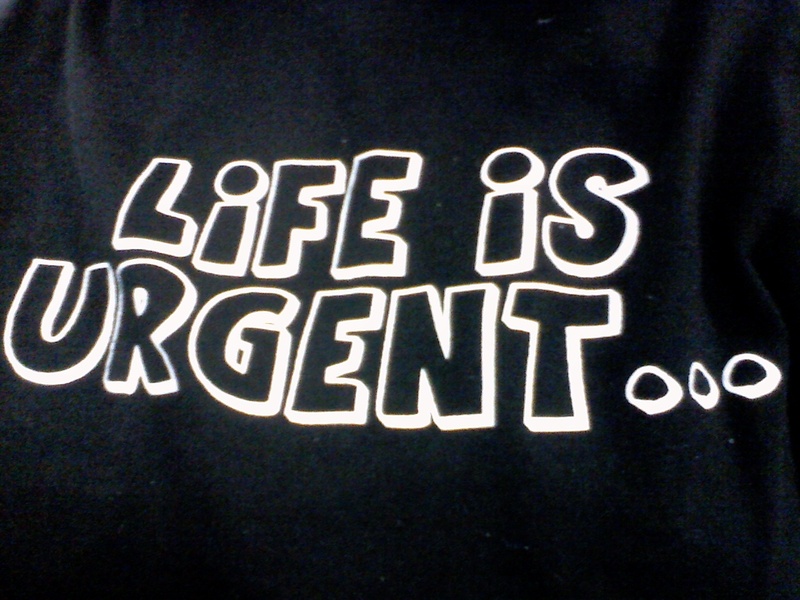 Today I realize how much time I’ve spent avoiding my health issues and how short our time is here. I remembered that life is urgent and there is not time to sit around feeling sorry for myself on my previous failures at weight loss. I’m ready for success and the future with my family. I’m excited to visit Disney World next weekend and feel like I can make it through the whole day and enjoy our time there without needing to stop and rest and take time away from the experience. My stamina and energy are coming back and I’m so grateful for that. Alittle over four months ago, I decided to move my family from the west coast of Florida to the east coast. A new opportunity called and I was ready for the challenge. 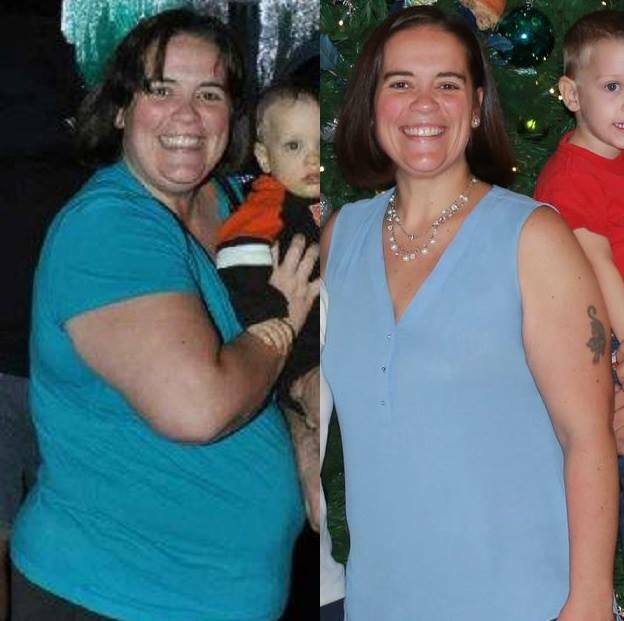 It was at that point that I decided to make a commitment to get healthy and finally take the baby weight off that had plagued me since the birth of my son in early 2011. So far my results have been fabulous. 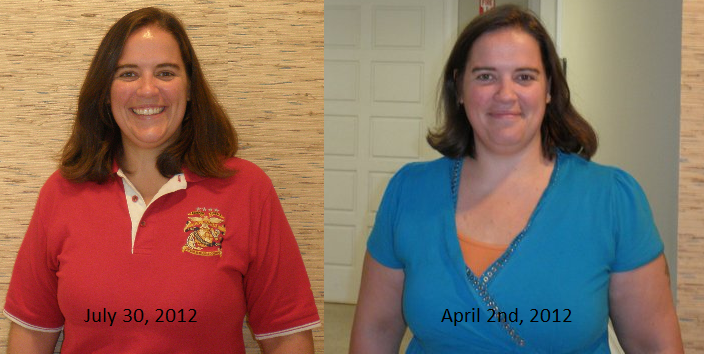 I started out my journey to health with the HCG diet. For those of you that don’t know anything about it, this can be a difficult diet to start out with. With an HCG supplement or injection by a doctor, you limit your calorie intake to 500 calories a day and the HCG consumes the rest in fat stores. The materials boast a 1-2 lb loss per day but I didn’t see those kind of results. I lost 19 lbs in 3 weeks. A great way to kick start my weight loss and help take the burden off my body to get back in the gym. In July, I purchased and completed the Advocare 24 day challenge. I had seen many of my friends pursue the challenge with great results. I was fortunate to take off another 7 lbs and over 12 inches in combination with this diet and regular exercise. My membership to Planet Fitness has been a godsend. Since then I have released another 7 lbs and have been feeling really good. My daughter and I are training to complete a half marathon the end of October and look forward to even more pounds melting away. I’ve lost a total of 35lbs since relocating in April and can’t wait to bust back into “one” derland. I’ll hopefully get to report that soon!